Headlines, hot news, and conversation starters on May 8, 2017! 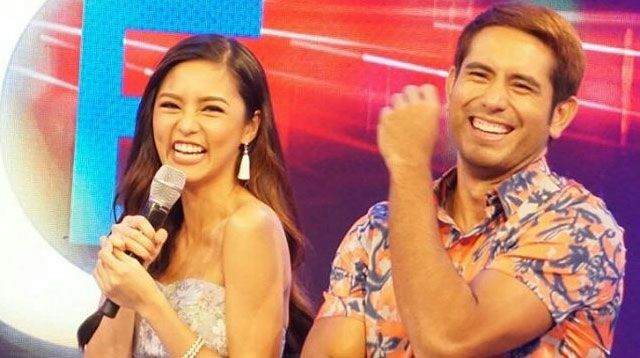 1 Kimerald is BACK and we couldn't be happier! Ex-lovers Kim Chiu and Gerald Anderson brought on the kilig when they revealed little details about their past relationship in an interview with Vice Ganda. Gerald dished, "'Yung cellphone pa namin noon pagkatapos ng PBB, 'yung prepaid pa so kailangan magpapa-load bago [kami mag-usap.]" Kim added, "Lagi kaming nag-uusap nang matagal, hanggang madaling araw. Tapos nauubos 'yung P300 [na] load." When asked about the most "galante" gift Gerald has ever given her, Kim revealed, "'Yung kotse na pink." And it was for her 18th birthday! Awww! Meghan was seen cheering for her royal boyfriend as Prince Harry played to support his charities: Sentebale and WellChild. 5 Treat your mama to a unique and delicious experience with Mary Grace's Tres Leches cake!